Update: It looks like Sony will not stop. 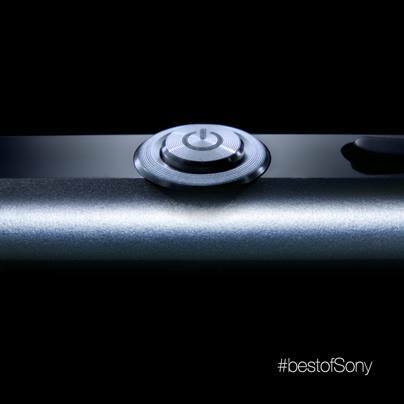 Not too long after its first teaser, here’s another teaser image from Sony with the hashtag #bestofSony. 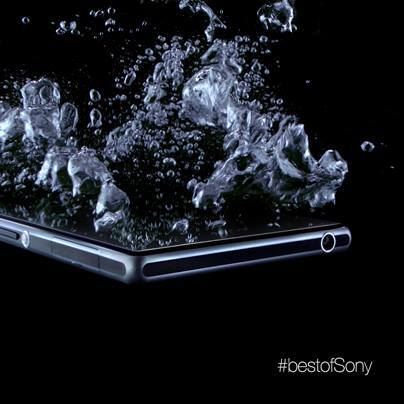 This time, it’s a picture of an Xperia device that is “About to make a splash”. Of course, knowing how most of the latest Xperia devices are all water resistant, it won’t be surprising that the Honami is water resistant as well, but it definitely is good to know that you can go swimming with this and take great underwater images. Next month will definitely be an exciting one for the mobile industry with many rumored devices to be unveiled at the upcoming IFA 2013 event in Berlin, Germany. Sony has now released its first teaser on Sony Mobile’s Facebook page that shows off a power with a hashtag that reads #bestofSony. Of course, it could be anything, considering how the latest lineup of Sony Xperia devices has the same design language, but according to the accompanying text, Sony mobile wrote “It’s the smartphone everyone’s been talking about… not long now #bestofSony” so what else could it be other than the Sony i1 Honami / Z One that everyone has been talking about? On the same note, Sony also opened a pre-registration page for the teaser that says “The best of Sony is about to get better”, so check it out and register now. With all the upcoming devices like the Honami, Sony’s camera lens for smartphones, Samsung Galaxy Note III, Galaxy Gear, Apple iPhone 5S and iPhone 5C, which will you pick?